Earth Day 2015 Google doodle throws a fascinating Earth Day quiz! The dynamic Doodle features a rotating Earth with the images of different creations found on the third plant of the Solar system. The world will celebrate the Earth Day 2015 today on April 22. 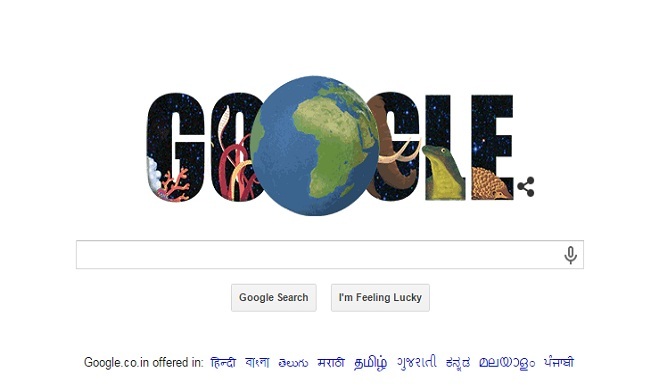 Internet search engine giants Google also took part in the celebration and honour the only life-supporting planet so far, Earth, with a splendid animated Google Doodle splashed on your screen. The dynamic Doodle features a rotating Earth with the images of different creations found on the third plant of the Solar system. Apart from the encaptivating animation, the Google Doodle engages its viewers by throwing an interesting Earth Day Quiz. 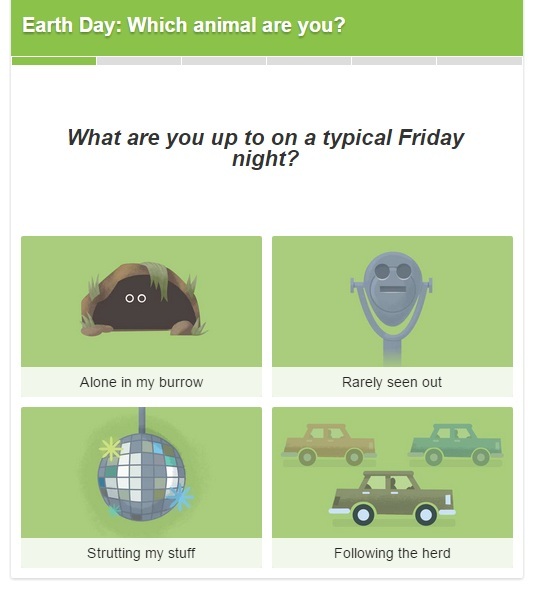 In the quiz, you are asked some questions about your likes and dislikes. Then Google Doodle tells you which animal you are on the Earth. There are many songs sung on the Earth Day but not an official one. Indian poet-diplomat Abhay Kumar wrote “Earth Anthem” on 5th June 2013 and UNESCO found his idea of an official Earth Anthem as a creative and inspiring thought that would contribute to bringing the world together. Kumar’s “Earth Anthem” has been translated into eight languages. The US Consul General Jennifer McIntyre has called Kumar’s Earth Anthem a significant contribution to Earth Day and truly an anthem for the Earth.